Find out how you can make your Style Guides available in multiple languages. Frontify allows you to make your Style Guides available in multiple languages. Translation happens directly within the context of your guidelines and is not detached somewhere in an excel file. This guide is how you can set this up. Please note that the multi-language option is limited to our Enterprise plans. Translating a Style Guide into other languages means to translate any text or images in another language. But all translations are based on the same Style Guide. This is important if you are about to create variations of your guides for different regions. For that, you should consider to create a master guideline that is valid globally and additional guidelines for each of the regions, reflecting the variations of each region. If you like, you can then go on and translate these guidelines into multiple languages that are spoken in these regions. Having this clarified, let's get started. 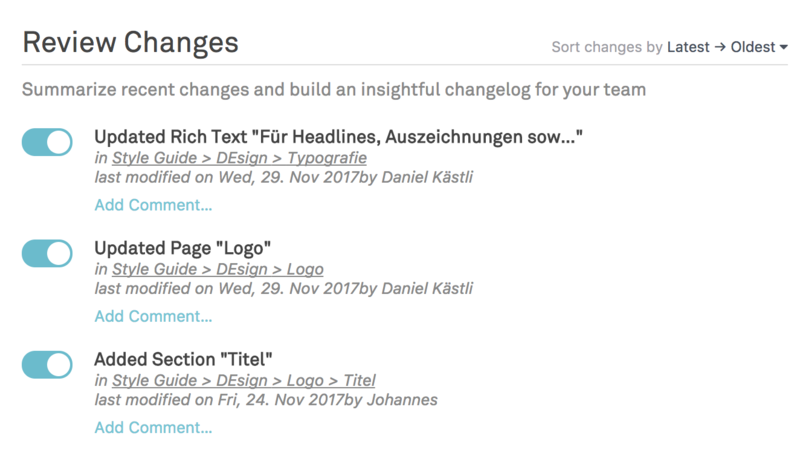 Soon you will be able to set the languages via the Style Guide settings yourself. Until this is ready, please contact your customer success representative or our support for activating additional languages. 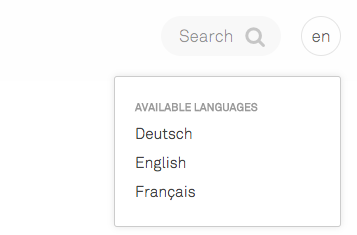 Once the languages have been activated, you can see a language switch in the upper right corner. The first language you see is considered the master language. Only in this language, you can add, remove or edit content blocks. All the additional languages are going to be translations of it. You will notice this when you enter the edit mode, you can replacing text or images but no longer add, remove or change the blocks in your Style Guide. 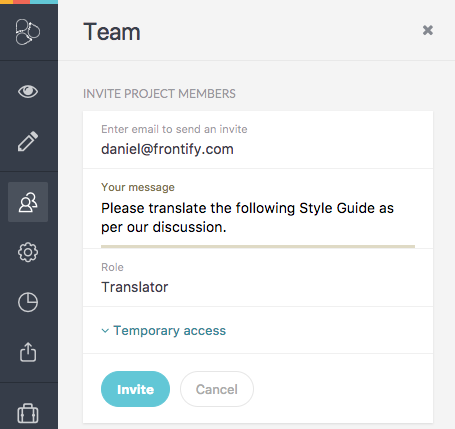 In order to give translators access to your Style Guide, we have introduced a new Translator role. Users in this role are limited to translating text and images but cannot modify your master Style Guide. Change to the edit mode to start translating. You will notice that the navigation on the left shows up little indication bars, that show you the translation progress. If everything is translated on the page, the bar is fully green. Additionally, you can see a red or orange indicator next to the content blocks. This indicator helps you find those blocks that have not yet been translated (red) or need your attention since the block as recently changed in the master language (orange). Once you have translated the block, the indication bar disappear. Once you are ready to publish, drop us a message and we'll activate the language for all users. And that's it. One more thing to help you keeping your translations up to date over time. Frontify will keep track of your changes in a change log. You can find this in the Style Guide settings. The change log allows you to communicate recent changes to other uses. You may find this particularly helpful for communicating recent changes to translators to take care of. But that's up to you. Remember to clear the change log before you start with the changes since the log may quickly become very large.